"When women decide to do something, when we are firm and radical, we will be successful and make it happen!" Patricia Gualinga addressed a packed crowd in the very spirit of her words, moving the entire room to a standing ovation. "Everywhere on the planet, we have such a powerful impact." 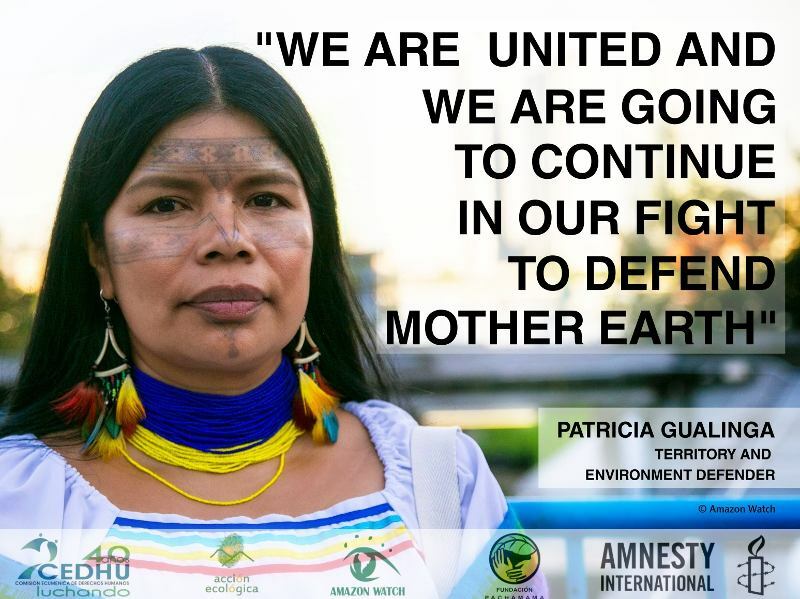 Paty was one of seven noble women who had traveled to Climate Week in New York City from various pockets of the planet to ramp up the fight for it. Here at the United Nations Church Center we were talking about the root causes of environmental destruction and social injustice led by a fierce panel of Women Leading Solutions on the Frontlines of Climate Change convened by The Women's Earth and Climate Action Network (WECAN International). These women and an engaged crowd had joined in solidarity to speak out against activities and policies that threaten the earth, their communities, and our shared future while presenting alternative solutions to the climate crisis as world leaders enter into negotiations in New York, leading up to the UN COP20 in Lima, and on the road to COP21 Paris and beyond. As in other developing countries, women in the Amazon bear a disproportional burden as climate change impacts their traditional territories and environment. It is in the daily lives of these women – who are highly dependent on local natural resources for their livelihood – that the battle to save the family, traditional ways of life and the future of their children is played out. In order to further preserve biodiversity and limit its degradation, indigenous people – particularly women – can and should play a leading role in the global response to climate change. Amazonian women hold a wealth of knowledge and expertise that can be used in climate change mitigation, disaster reduction and adaptation strategies. 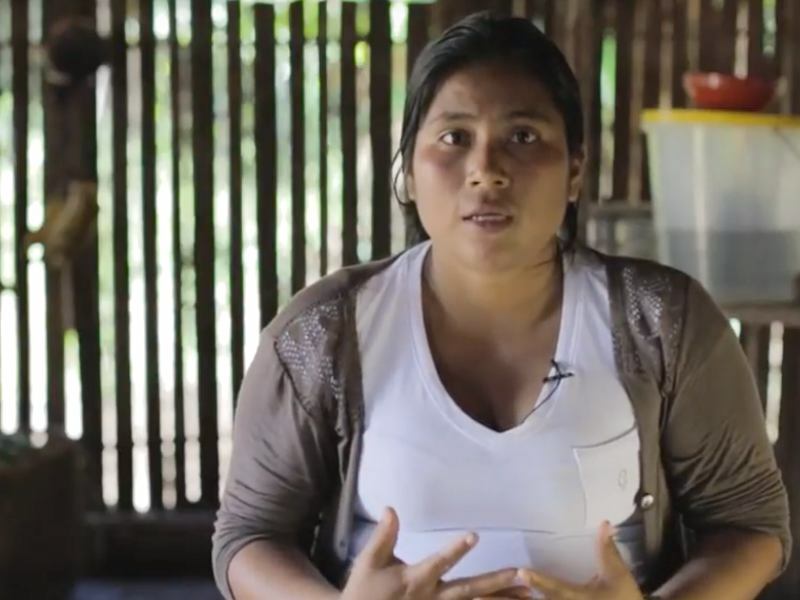 These brave women are rising to become effective agents of change, and have taken the lead in a rapidly growing movement to protect their rainforest homelands across Ecuador. 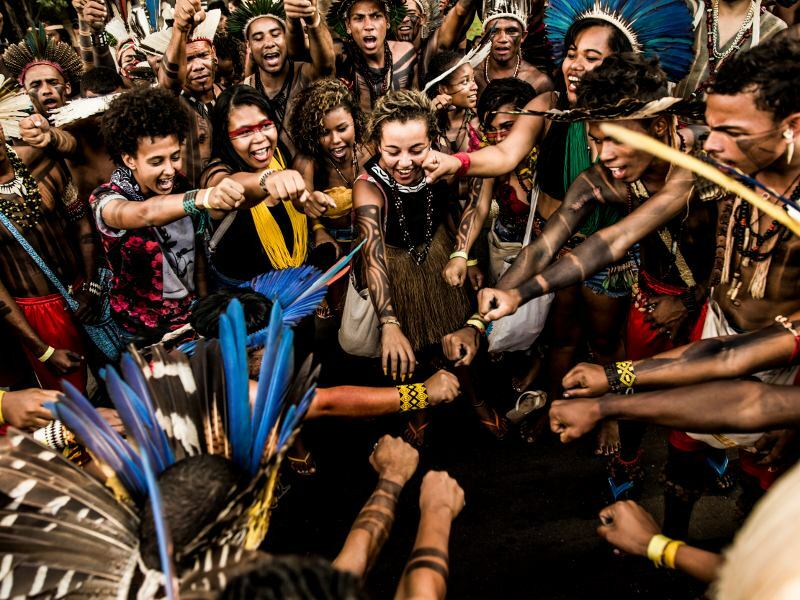 As female givers of life, the women of the Amazon have felt a great responsibility to lead the fight against impending oil drilling and the destruction of Pachamama, our "life giving mother earth," and are calling on the world to keep oil under ground in their ancestral lands. "Our indigenous communities, in which we are caretakers of the forests, are already feeling the impacts of climate change," Paty and her relatives back in Sarayaku on the winding Bobonaza River have told me in various words time and again. "Our elder wisdom-keepers have been warning us for many years, they knew about this but weren't listened to. 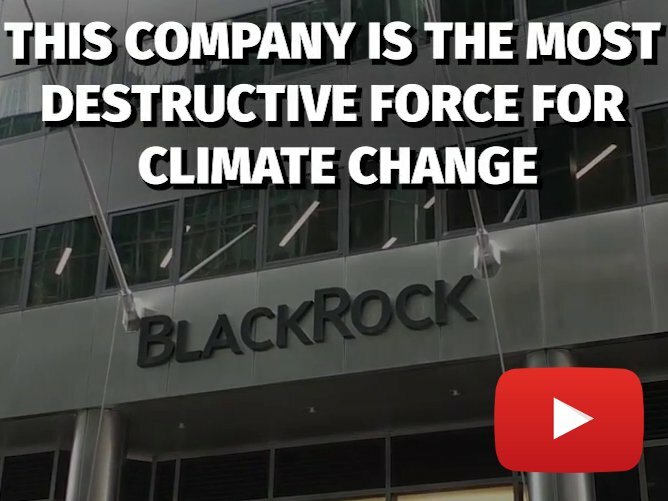 They said there would be problems if we continued preying on Mother Nature, causing impacts so great they won't only affect nature but also humankind. We are out of time, now is the moment for us to be responsible and bet on life as the continuity of our existence on this planet depends on it." 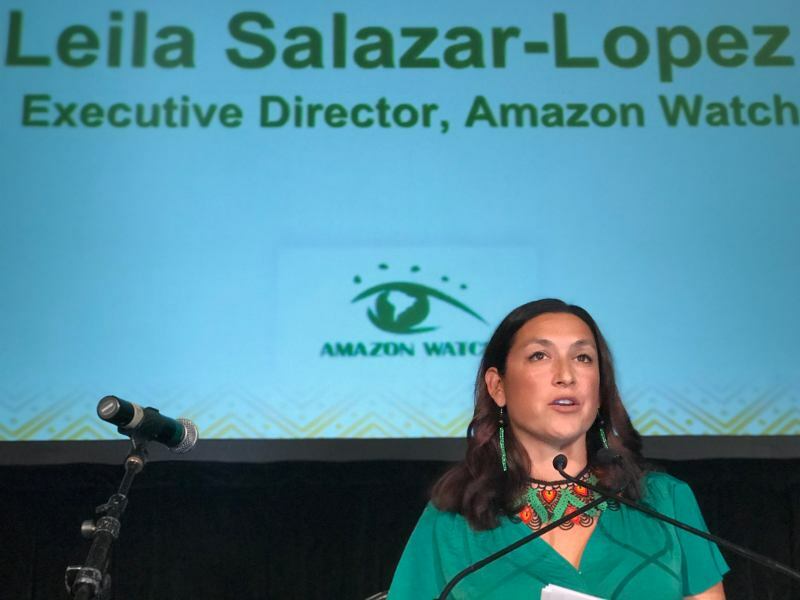 A selection of photographs brought by Amazon Watch from Amazon Women on the Frontlines of Climate Change took a captivated audience to Sarayaku and beyond for a glimpse of life, struggles and solutions from the Amazon. "I'm honored that you can meet some of the other women who are fighting for our future at home, see our sisters and families who couldn't be here through these photographs and their stories," Paty said proudly, pointing to a portrait of Ena Santi, also from Sarayku. These women and girls are true forces of nature, rising against great odds to lead the charge in the Amazon in unprecedented ways. Amazon Women on the Frontlines of Climate Change seeks to tell their stories through a representative selection of "speaking" images combining portraiture with written testimonies, along with a series of images documenting their perspectives and life in their traditional rainforest communities. 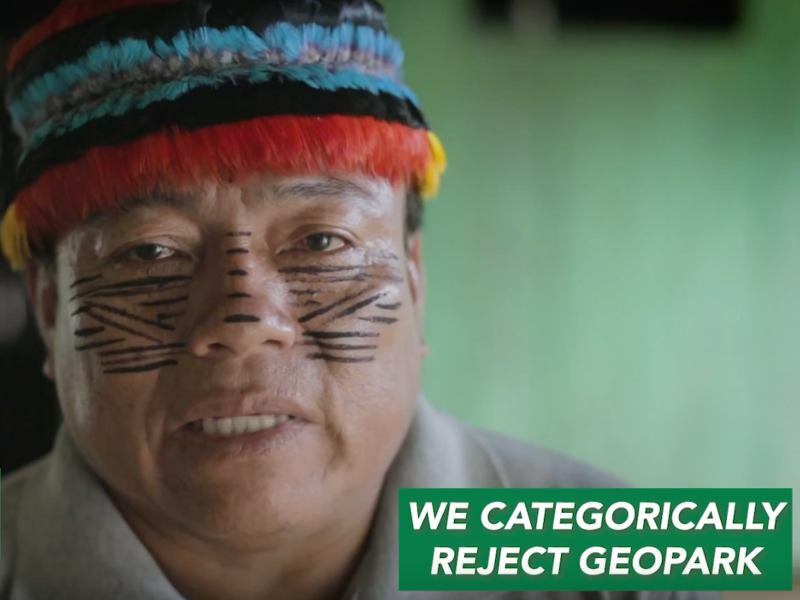 The project was created in collaborative workshops with Kichwa, Shiwiar, Sápara and Waorani women; Ecuadorian photographer Felipe Jácome; Amazon Watch Editorial Director & Chief Storyteller Caroline Bennett; and in partnership with WECAN and Acción Ecológica. The series is now touring with Paty and a delegation of women leaders to spaces around the UN climate summit and People's Climate March in New York City, and plans are evolving to exhibit during UN COP20 events in Lima and on the road to the 2015 COP21 in Paris.